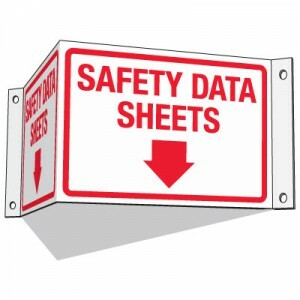 A safety data sheet (SDS), material safety data sheet (MSDS), or product safety data sheet (PSDS) is an important component of product stewardship and occupational safety and health. It is intended to provide workers and emergency personnel with procedures for handling or working with that substance in a safe manner, and includes information such as physical data (melting point, boiling point, flash point, etc. ), toxicity, health effects, first aid, reactivity, storage, disposal, protective equipment, and spill-handling procedures. SDS formats can vary from source to source within a country depending on national requirements. SDSs are a widely used system for cataloging information on chemicals, chemical compounds, and chemical mixtures. SDS information may include instructions for the safe use and potential hazards associated with a particular material or product.